Listen as all of the guys discuss the improvements to Riverside Track in Winterset. He also talks about upcoming happenings at the track. Listen as the guys discuss the latest news and happenings in the motocross world. Listen to a "Best Of" segment from earlier this year. Open Mic discussion on the latest news and happenings in the moto cross world. Listen to a replay of an interview with Dean Wilson that first aired on 03.05.19. Listen as the guys discuss the latest news in the motocross world. Listen as the guys talk about what is happening in the motocross world. 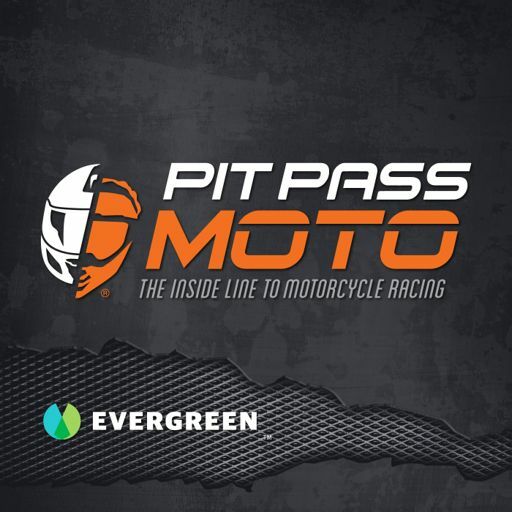 Sean Bice, Mike Alessi, Mike Skurkis, Tyler Ohara, Dean Wilson, Open Segment all Tuesday Night on Pit Pass Moto,03-05-19. Listen as the guys discuss the latest happenings in the motocross world. Recently it was announced that American Honda is returning to AFT racing for the 2019 season through Richie Morris Racing and top-level rider Mikey Rush in the AFT Singles Championship aboard the 2019 CRF450R. Craig Schwienebart, Founder of National Yellow Blue LED: Lighting your garage or shop with new LED Lighting. Listen to a "Best Of" segment from Jan. 8th, 2019 including an interview with Aaron Colton. Open Segment taken from the 12.11.18 full episode. Open Segment taken from the 11.06.18 full episode. Tayla Jones, Sean Ungvarsky, Devan Bolin, Michael Lock and Kenny Coolbeth Jr.
10.16.18 | Featuring the following guests: Tayla Jones, Sean Ungvarsky, Devan Bolin, Michael Lock and Kenny Coolbeth Jr.
Aaron Plessinger, Kyle Redmond, Ryan McCarthy, Bryce Prince and Kolby Carlilie all Tuesday Night on Pit Pass Radio 10-09-18. Listen as the guys discuss all of the latest news in the motocross world. The post Open Segment 10-09-18 appeared first on . Ryno Power has been in business for 8 years and strives to provide the highest quality supplements at affordable prices for all athletes from beginners to pros. The post Ryan McCarthy 10-09-18 appeared first on . Plessinger raced for Team USA at the 2018 Motocross of Nations at Redbud in Southern Michigan. In his two races he finished 16th and 18th on a Yamaha. Plessinger won the 2018 250 Pro Motocross Championship. The post Open Segment 10-02-18. appeared first on . The post Kelly Wagner 10-02-18 appeared first on . ​Jason Thomas Don Radebaugh Andrew Lee ​Danny Eslick Cory Buttrick all Tuesday Night on Pit Pass Radio 09-25-18. Jason Thomas Don Radebaugh Andrew Lee ​Danny Eslick Cory Buttrick and Open Segment all Tuesday Night on Pit Pass Radio 09-25-18. The post Open Segment 09-25-18 appeared first on . Babbitts monster energy Kawasaki GNCC Off Road Racer. The post Jason Thomas 09-25-18 appeared first on . The post Open Segment 09-18-18 appeared first on . The post Open Segment 09-11-18 appeared first on . The post Garret Ward 09-11-18 appeared first on . In Studio guests, Carlin Dunne, Shayna Texter, Garrett Gerloff, Thad Duvall all Tuesday Night on Pit Pass Radio 09-04-18. The post Open segment 09-04-18 appeared first on . Listen as the guys discuss motocross news with 2 in-studio guests. The post In Studio Guests 09-04-18 appeared first on . Listen as the guys discuss all of the latest news and happenings in the moto cross world. The post Open Segment 08-28-18 appeared first on . The post Mike Lang 08-28-18 appeared first on . Jake Johnson, Rory O’Neil, Josh Strang, Michael DeAloia, Max Gerston all Tuesday Night on Pit Pass Radio 08-21-18. Listen as the guys discuss happenings in the motocross world with: Jake Johnson, Rory O’Neil, Josh Strang, Michael DeAloia, Max Gerston all Tuesday Night on Pit Pass Radio 08-21-18. Listen as the guys talk and discuss the latest news and happenings in the motocross world. The post Open Segment 08-21-18 appeared first on . Max Gerston is the defending AMA West Hare Scramble Champion and veteran top EnduroCross racer. He finished in fourth place in the Tennessee Knockout in 2017. Gerston is based in Scottsdale, Arizona. Racing Farleigh Castle on Team International Hammer. The post Rory O’Neil 08-21-18 appeared first on . Listen as the guys discuss the latest news and happenings in the moto cross world, while they are broadcasting from the Iowa State Fair 2018. The post Open Segment #2 08-14-18 appeared first on . Listen as the guys discuss the latest news, happenings, trends and tips in the motocross world, while broadcasting from the Iowa State Fair 08-14-18. The post Open Segment 08-14-18 appeared first on . Listen as the guys discuss the latest news, happenings and trends in the motocross world. The post Open Segment 07-10-18 appeared first on . Cameron Beaubier, Kyle cunningham, Ben Kelley, Jared Mees, Kenny Coolbeth jr., Chris Fillmore all Tuesday Night on Pit Pass Radio 07-03-18. Justin Cooper Jessica Patterson Chris Muller Tyler O’Hara Shane McElrath and an Open Segment all Tuesday Night on Pit Pass Radio 06-19-18. Listen as the guys discuss the latest news and happenings in the moto cross world, with special guest Chris Bishop. The post Open Segment 06-19-18 appeared first on . Tyler O’Hara has raced in a number of motorcycle racing disciplines including Supermoto, Flat Track and Motorcycle Road Racing. The post Tyler O’Hara Professional Racer 06-19-18 appeared first on . Bobby Fong , Mark Samuelson , Mackenzie Tricker, Kyle Redmond , Jeffrey Carver Jr , Marc Perrone all Tuesday Night on Pit Pass Radio 06-12-18.
Cooper Webb, Dustin Meador, Brad Baker, Alex Martin, Daniel Blair, Jamie Astudillo all Tuesday Night on Pit Pass Radio 06-05-18. Listen as the guys discuss what it is like racing and winning with your brother with Alex and Jeremy Martin. The post Alex and Jeremy Martin 06-05-18 appeared first on . Listen as the guys will be discussing brothers that are racing in the motocross world with Daniel Blair. The post Daniel Blair Fox Sports 06-05-18 appeared first on . The post Dustin Meador 06-05-18 appeared first on . Josh Strang James King Brent Duffe Tod Hammock John Ewart Cory Texter all Tuesday Night on Pit Pass Radio 05-29-18. Taylor Robert, Cory West, Steve Wise, Grant Baylor, Chris Parrish and Mike Copoulos all Tuesday evening on pit pass radio 05-08-18. Listen as the guys talk with Mike about what he does and engines that he has built. The post Ryan Breece Arenacross rider 05-01-18 appeared first on . Listen as the guys discuss latest news concerning Tony Wenck and the town of Winterset, Iowa. The post Gary Dean (Kyle Wyman Crew Chief) Owner Speed Demon Motorcycles 05-01-18 appeared first on .